Poway Is North County's "City in the Country"
Poway, which describes itself as “the city in the country,” is both rural and cosmopolitan. Proof positive of its unique claim is that its proudly boasts of having over 60 miles of equestrian and hiking trails. And having horses on your property is a rule rather than an exception. So it should come as no surprise that it is the only city in North County to host a national rodeo each year. As of 2010, the population of Poway was 47,811. The city’s zip code is 92064 and the land area is a mere 39.08 square miles. Poway officially became a city on December 1, 1980. Poway is also home to the rich and famous with many current and past baseball and football stars calling Poway home. They include Tony Gwynn, the perennial batting title winner of the National Baseball League, and Randy Jones, a former Cy Young Winner. Plus, Poway is home to barons of industry, who live in palatial hilltop mansions. Here too are affordable, family-orientated residential neighborhoods as well a few mobile home parks catering to senior citizens. A real feather in Poway’s hat is that it is also nationally acclaimed for having the top school district in the State of California year after year and is one of the top school districts in the nation. And their impressive 815-seat Poway Center for the Performing Arts is touted for its top entertainment. So Poway is, without a doubt, where families want to raise their children. So as you might expect, Poway is a very family-oriented community with lots of fun kid-friendly places to dine and lots of things for kids to do. Poway is freeway close. It is just 20 freeway minutes north of downtown San Diego via Interstate 15, which is the major inland highway linking San Diego to Riverside County, Los Angeles and Orange County to the north. 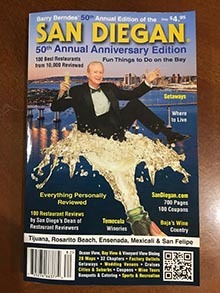 And Highway 56 is the westerly thoroughfare that connects Poway to Del Mar and the Pacific Ocean. It’s a quick 8-mile commute. So Poway is anything but land-locked. 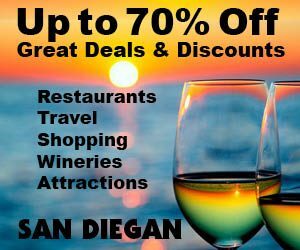 And if you got stuck without a car, there is a commuter express bus service that operates on a regularly basis between Poway and downtown San Diego. But in Southern California, the automobile is the primary means of transportation between the many inland cities and communities and downtown San Diego. The City of Poway is also easy to navigate because there are only a few main thoroughfares. The main one is aptly named Poway Road. And it travels in an East West direction straight through the commercial district from one end of Poway to the other. Poway Road first gained prominence back in the 1880s as an important stagecoach link connecting the inland communities of Southern California. Pomerado Road, Espola Road, Midland Road Community Road are the only main thoroughfares traveling in a north and south direction through Poway. So getting to know your way around Poway is easy. And with a population of a mere 48,000 traffic is almost non-existent! Poway has a population of approximately 48,382 residents with a median household income of $105,099, ranking it the second highest in San Diego County. The dominant age range is between 35 and 49 years with 33 percent of the residents having completed more than a four-year college degree. Thus Poway’s residents make up a highly educated resource pool of workers for the many high-tech and research and development firms that are located in this region of the county. A bonus is that Poway has one of the lowest crime rates in San Diego County. And their sheriffs Department is an excellent deterrent to would be criminals! People and education are vital, highly-regarded elements that set Poway apart from every other community in the county, the state and the nation. Just getting an education isn’t enough! The Poway Unified School District office is located at 15250 Avenue of Science, San Diego, CA 92128 (858-521-2800). Approximately 33,000 students are enrolled in their schools. Rarely is a school district a big attraction, but it is in Poway. In fact, all 39 schools in the district have won the prestigious California Distinguished School Award, and 10 of the schools have won Blue Ribbon Awards. So many awards and accolades for a school district are almost unheard of! An abundance of “kid-friendly” recreational and educational activities is what sets Poway apart from every other community in the county and the country as a whole. For example, over 60 percent of the total land use is designated as open space with 170 acres set aside for parks. And it’s beautiful hilly terrain accent the more than 50 miles of dedicated trains for horseback riding, hiking, biking and jogging. Plus, you can enjoy championship golf, tennis, racket ball, swimming and volleyball. Particularly impressive and innovative is the Sportsplex USA (10) (858-679-4000), which is a state of the art sports facility that many professional sports teams wish they had access to. This outstanding sports venue includes three regulation-size softball fields, two basketball courts, batting cages and even a roller hockey areas complete with bleachers. Kids, grandparents, moms and dads never tire of visiting historic Old Poway Park (11) at 14154 Midland Road. A huge attraction is the eye-catching, big, authentic steam engine locomotive that pulls a stream of railroad cars around the park blowing it’s whistle when necessary. The locomotive takes passengers on a ride around the park every weekend. And the park itself is lush with trees, grassy areas for picnics, a gazebo fore weddings and summer concerts and recreational fields including baseball fields. And lining the commercial district are many historic buildings both original and recreated. Before or after a train ride or a sport activity virtually everyone heads for one of the biggest attractions in all of Poway. For both kids and adults, it’s having a meal at The Hamburger Factory (11) (858-485-4575), which is located on 14122 Midland Road. Especially on the weekends it’s jammed to the brim with kids wearing their baseball or soccer uniforms along with their parents, brothers and sisters, grandparents and coaches. It’s a site to see! An everyday treat for kids is a local creation called My Kids Clubhouse (9) at 12636 Poway Rd. (858-668-2838). Parents love this place! In fact, it’s every parent’s dream come true. Parents can leave their kids for a couple hours to play with other kids in an indoor play and learning center. And parents can go shopping while the kids can learn crafts and do fun supervised activities. It’s also a perfect place for birthday parties and camps galore. And the popularity of this venue has spread elsewhere in the city. And this firm has two locations to serve their ever-growing clientele. The largest community-wide event is Poway Days (858-748-6360), which is usually held in September. Poway Days celebrate the city’s historic ties to the Old West. This weeklong festival includes a host of community events that often include a pancake breakfast, fireworks and more. The festival also features the annual Poway Days Parade, which is put on by the Poway Rotary Club, as well as the annual Poway Rodeo (760-736-0594). This civic-minded community goes all out for this annual festival, so don’t miss it! Believe it or not, but Poway even has it’s own lake! Of course, the 60-acre Lake Poway (2) is kept well-stocked with game fish, including trout, perch and catfish. Plus, it’s the most popular place in town for family picnics which include picnic tables along its grassy shoreline. When you think about Poway, just think kid-friendly and you’ll know why families love living in Poway. Another outdoor activity that is second to none is the Blue Sky Ecological Reserve (3), which is a pristine canyon reserve set aside for wildlife by the California Department of Fish and Wildlife. Its miles of winding canyon and hillside trails are a favorite getaway for hikers and horseback riders alike. They also have a paved parking lot for easy access into the park and out. Why not give yourself a season of theatrical enjoyment by supporting the arts? Poway’s impressive 815-seat Poway Center for the Performing Arts (3) at 15498 Espola Rd. (858-748-0505) is highly acclaimed! The box office can be reached at 858-748-0505. And golfers never cease raving about playing a round of golf at Maderas Golf Club (1) at 17750 Old Coach Rd. (858-451-8100). It’s a Troon-managed golf course, which is recognized as the world leader in luxury golf management. So, quite naturally, Maderas Golf Club is one of the top rated golf courses in the county and one of the top ten courses in California. And that is saying a lot because there are over a thousand courses in California. It was designed by Johnny Miller and boasts a driving range, clubhouse, club rentals and a restaurant called The Grille. Served daily are a light fare of entrees for breakfast, lunch and dinner with a popular Sunday Brunch and a Wednesday and Thursday burger night. The golf club also hosts corporate events, weddings, banquets and golf tournaments. With this and Torrey Pines Course being two of the top courses in California, you owe it to yourself to play these courses. And the road to this impressive course offers a wonderful presentation of the unique terrain that makes Poway so special. As you wander down Old Coach Road you’ll see many magnificent hilltop estate homes. And once you get to the club, you’ll see even more estate homes overlooking the course. This is living at its best! And the homes surrounding the golf course are all multi-million dollar homes. It doesn’t get any better than this. But then again, residents on the other side of Espola Road in a classy neighborhood called Green Valley Estates (2) would strongly disagree, and you might too. So you most definitely should wander down the country roads for a glimpse at the sprawling ranch style homes that make this neighborhood one of the most sought after residential areas in the county. Within a mile from Maderas Golf Course is a well-established private golf course named StoneRidge Country Club (4). It boasts a clubhouse, which is the site of many weddings and social events. Over 700 acres of buildings space constitute the Poway Business Park (10), making it one of the premiere business parks in the county. It currently offers a variety of building sizes for light industry and manufacturing, research and development and warehouse and distribution applications. Corporate headquarters in the area include Atlas Van Lines, Geico Insurance and Keebler Foods. Before Hwy 56 was completed, Poway and the communities along the 15 Freeway were land-locked from traveling west to the ocean, except in a roundabout way by traveling on surface streets such as Mira Mesa Blvd or Miramar Road or miles north to Hwy 76. Now it is a quick, three-minute, 2.2-mile drive to I-15 or a smooth 11-minute commute to cover the 6.5-mile journey to Del Mar and the I-5 Freeway. Highway 52 to the south has done wonders to connect the east to the west. And next to the Hwy 56 is also a bike path and the scenery is fresh and open with lots of vistas as you travel eastward. At the foot of Highway 52 is the Target Shopping Center, which is home to many shopping alternatives not the least of which is a huge Target Superstore as well as a gas station (There are not many gas stations in Poway. ), banks and a sundry store. It’s real claim to fame is that it’s home to two of the most popular restaurants in all of Poway. Wow? How can this be? It is because these two restaurants cater to kids and families and Poway is a family-oriented city. And one of the if not the biggest reason why Poway is the most sought after city in the state of California to raise a family is because it has the top ranked school district in California year-end-and-year-out. So for family restaurants, Poway has the best ones. Here in the Target Shopping Center, which is at the foot of Highway 56 are two reasons to definitely dine here and spend a day or longer discovering this family orientated community. Pancake-lovers arrive in droves to have a mouthwatering and absolutely incredible meal at The Original Pancake House (1) at 14905 Pomerado Rd. (858-679-3362). It’s ideally located freeway and street close in the Target Shopping Center. With a slogan of “pancakes as you like them,” literally handfuls of families wait in line at the door to get a table. To accommodate these throngs of happy families is a long row of benches for families to sit on. And while the restaurants seats over 100, it would not be big enough if it were twice the size. But the service is fast and the food comes out in minutes. So you won’t notice the wait. Among the nearly dozen restaurants in the Target Shopping Center is another standout, which is everyone’s favorite. It’s an Outback Steakhouse. And this one appears to be better than all of the rest with a popular bar and a huge, family-friendly, ranch-style dining room seating over 200 people. Poway is strategically located in an area where new home construction is in high demand, due to the proximity to high-tech industries. This makes Poway an ideal place to live, work and play. Thus, this carefully planned community is a blend of the best that the county has to offer growing families. On the horizon are plans for new homes, new businesses and shopping districts. So come to Poway and take a look for yourself. Espola Road is a 9.1-mile long road that hugs the eastern side of Poway and is home to lots of horse ranches, spacious ranch-style homes in the Green Valley Region as well as Lake Poway Recreation Area, Blue Sky Ecological Area (a popular spot for hiking), and Maderas Golf Couse (one of the top ten most prestigious golf courses in the state of California). Espola Road is also home to Poway Center for the Performance Arts and Poway High School. For information on and assistance in relocating your business to Poway, contact the City of Poway (858-668-4400) at 13325 Civic Centre Drive, Poway, CA 92064. For visitor information, visit their website at poway.org. Pancake photo courtesy of The Original Pancake House. Rodeo photo courtesy of Diosthenese through a Creative Commons license. Lake Poway photo courtesy of Phil Konstantin through a Creative Commons license.